The principles of minimally invasive parathyroidectomy include the successful preoperative localization of a solitary adenoma, a targeted operative approach that does not disturb the normal parathyroid glands, and intraoperative confirmation of excision of all hypersecreting parathyroid tissue. By providing real-time feedback to the surgical team, the rapid PTH assay allows surgeons to assess the completeness of parathyroid resection without visualizing all the parathyroid glands. Intraoperative PTH monitoring facilitates the use of local anesthesia, decreases the duration of surgery, and allows ambulatory surgery in most patients. 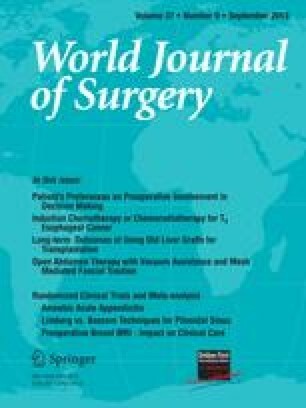 This article reviews current recommendations and controversies surrounding the use of intraoperative PTH monitoring during parathyroidectomy. This article was presented at the International Association of Endocrine Surgeons meeting, Uppsala, Sweden, June 14–17, 2004.